Bloggers4UKIP: Labour MP who called voter a "horrible racist" tells voters "we know the problem are older white men"
Labour MP who called voter a "horrible racist" tells voters "we know the problem are older white men"
Labour's shadow EU Minister, Pat Glass MP, has found herself in hot water over her bigotry for the second time in less than a fortnight. Less than a fortnight ago the MP for North West Durham referred to a woman as a "horrible racist" for complaining about a Polish family who she described as scroungers. 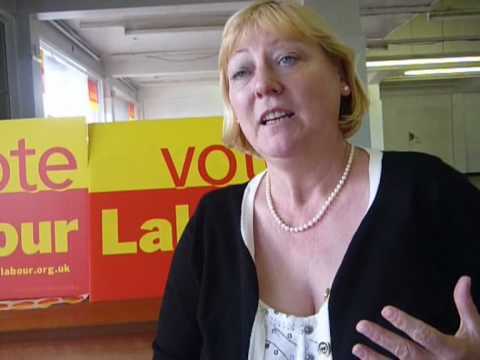 Now she has told Labour Party activists in Wolverhampton not to bother talking to their grandfathers about the EU because "we know the problem are older white men". Labour has been plagued with racism, antisemitism and misandry recently and this won't help shake off their reputation as the party of bigotry and intolerance.